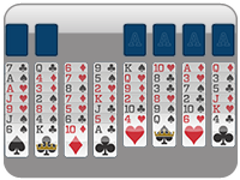 Double your pleasure, double your fun with Double Freecell! 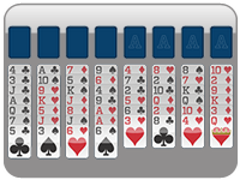 If you just love classic freecell, up your freecell game with this brand new variation on 247 Freecell. 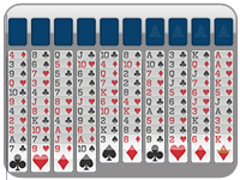 Add an extra deck of cards to the classic favorite freecell and you'll have Double Freecell. 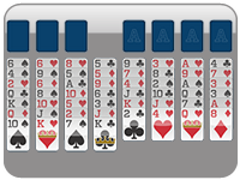 It's almost like you're playing two freecell games in one. Complete the upper foundations by suit, ace to king, once, and then do it all over again on top of that complete foundation! Move all the cards into those foundations by suit, ace to king, then ace to king again to win the game! This freecell game will take lots of time and patience but it's a fun game and the joy you will feel with a victory is awesome! 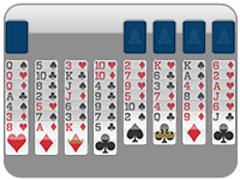 6 open cells and two decks of cards will make double freecell your game of choice! 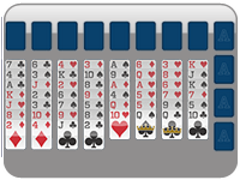 Complete the freecell foundations twice. Place cards Ace to King then repeat Ace to King again. 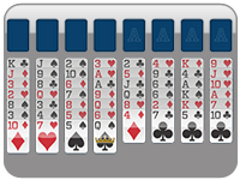 Freecell game takes much more time and concentration than classic freecell but is a fun variation for freecell lovers.